During this time of year, when many people choose to abstain from meat on Fridays, pizzerias and fish fry shops revel in the boost in business. You can often tell it’s Lent simply by counting the number of billboards advertising the best fish fry special in town. Suddenly, every restaurant’s specialty is fried haddock. 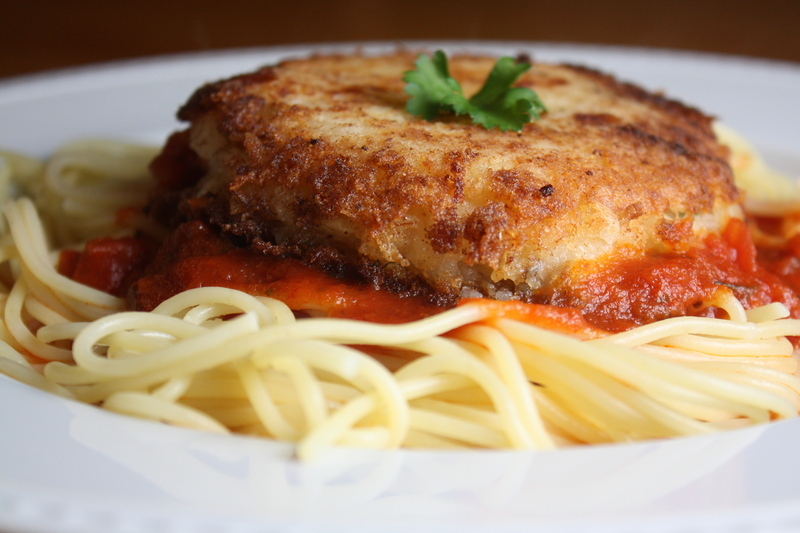 For my family, Fridays during Lent usually meant one of four things; pizza, fish sticks, my Daddo’s tuna burgers, or fishcakes. Fish sticks have never been a favorite of mine and I didn’t really learn to appreciate pizza until my college days, when my upstate New York classmates taught me to dip it in bleu cheese dressing. For me, my Friday favorite was always a toss up between the tuna burgers and the fishcakes. The fishcakes, which my dad prepared for us, came from a recipe passed down from my grandmother. As my dad explains it, this is a meal which was designed to stretch the food budget for a family of eight. One pound of salt-preserved cod is combined with mashed potatoes and a few simple seasonings to form a dozen delicious fish cakes! 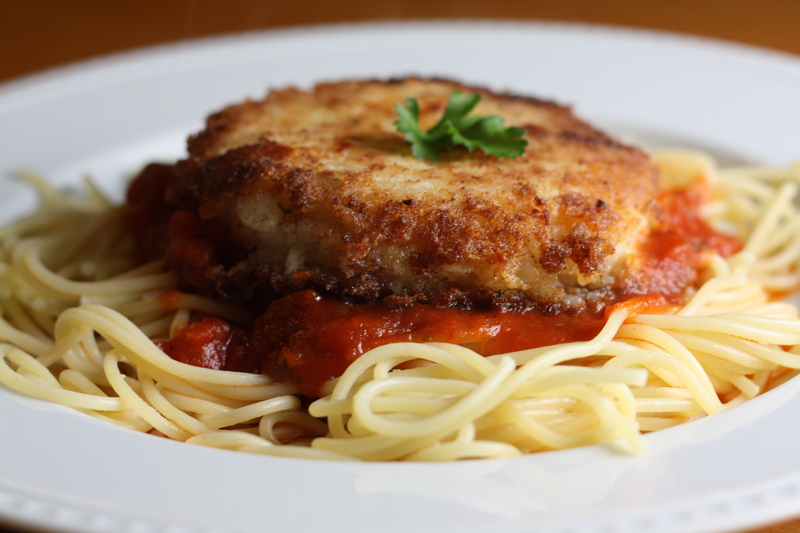 Served over a heaping pile of spaghetti, this budget-friendly recipe makes a hearty meal for a big family! 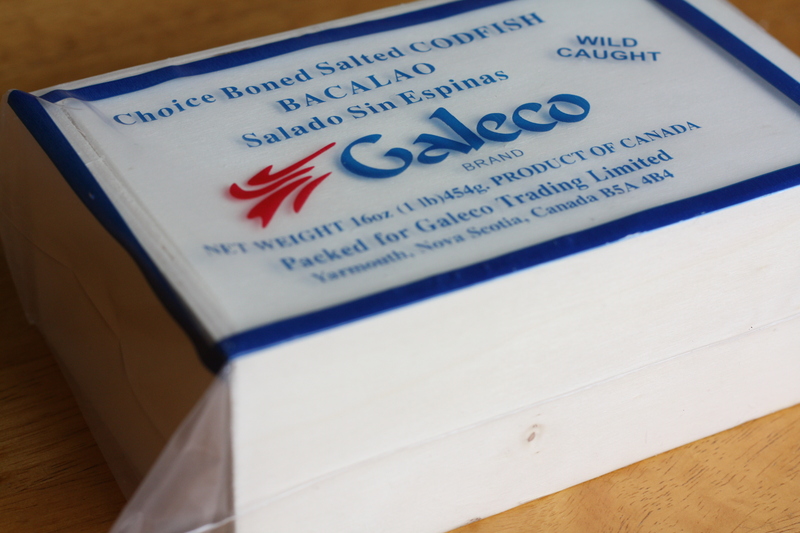 Salt cod, or baccalà, can usually be found near the seafood section of your grocery store. Try asking at the seafood counter if you don’t spot it! *You can adjust the quantity of potatoes based on how fishy you prefer your cakes. 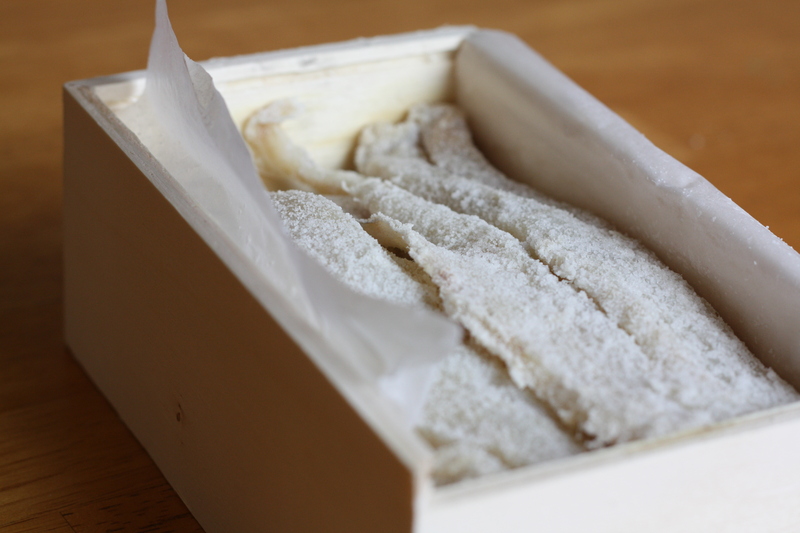 Soak the salt cod in cold water (refrigerated) for 6 -24 hours. Change the water once, about halfway through. (The longer the fish soaks, the less salty it will be.) Gently simmer the fish for 10-15 minutes. Remove the fish from the water and set aside to cool. Save the water. Add the potatoes to the hot fish water. Boil until fork tender. Strain and mash the potatoes with the butter. Flake the fish, while carefully checking for bones, and add to the mashed potatoes. Add the onion, parsley, black pepper, paprika, and additional salt (if desired). Knead the mixture until well combined. 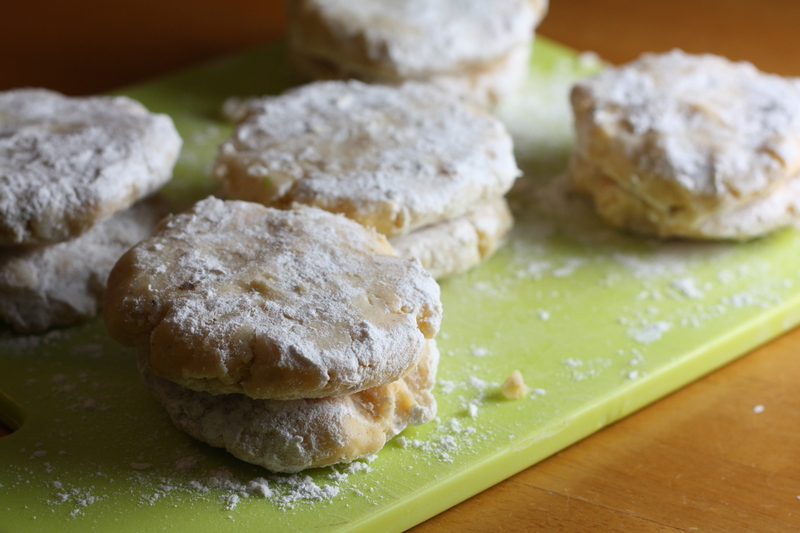 Form the mixture in large 2-3″ balls, then flatten into thick patties. Coat both sides with flour. Heat shortening or vegetable oil* over medium heat. Cook the patties in the oil for 2-3 minutes on each side, until golden brown. Serve over spaghetti with tomato sauce or stewed tomatoes. *My grandma says it should be shortening, but I admit to using vegetable oil. Shhh…don’t tell my grandma! Posted in Food, Main Course, Potato, Recipes, Seafood and tagged Cooking, easter, easy dinner, family, fish, Food, lent, life, parenting, potatoes, Recipes, seafood. Bookmark the permalink. Oh this recipe looks great! We are trying to incorporate more fish into our diet (not just for Lent, but on a regular basis) so I need all the inspiration I can get. When my Mom made these, we would slice them open, put butter in between the halves and then douse them with ketchup. Applesauce was served on the side. They were great. She cheated though and used Gortons canned fish cakes. I’ll have to try yours. Think I could get Sarah to try them?